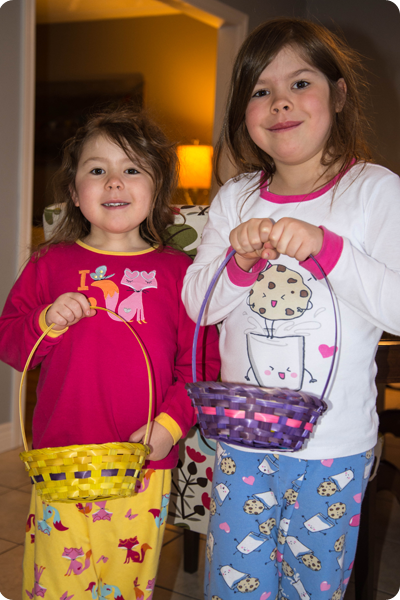 The Easter Bunny came so we had an early morning egg hunt with you girls in your pajamas. Running about the house looking for plastic eggs made you two so happy; and the egg hunting continued throughout the day as you took turns setting up egg hunts for each other. They are cute, not that I am biased or anything. Hope you get a chance to post your pics and journaling for this project; it is so great.